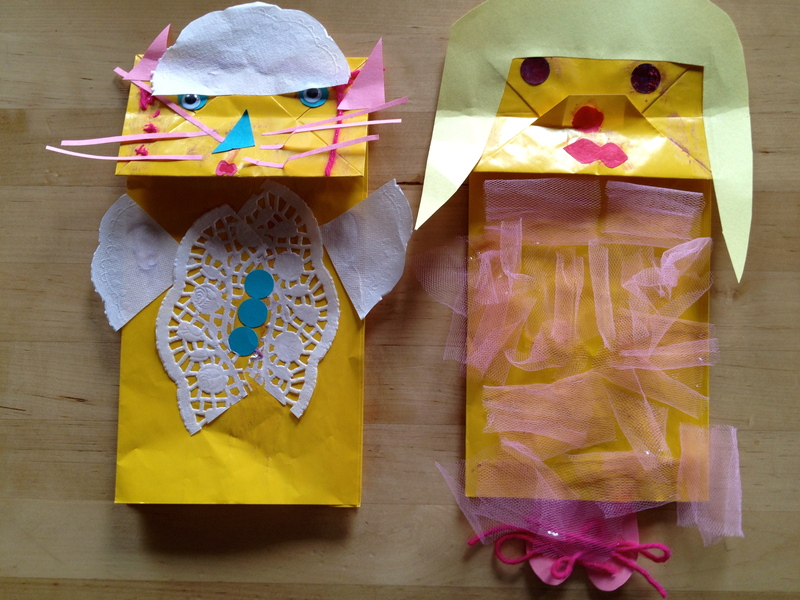 Yesterday I got out our giant craft box, handed Ava a bunch of supplies, and watched her create these ‘Ava & Pixie’ paper bag puppets. I helped by cutting out a few things she requested [hair, ballet shoes, etc] and she did the rest herself. 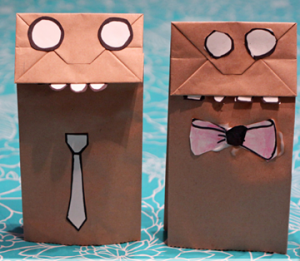 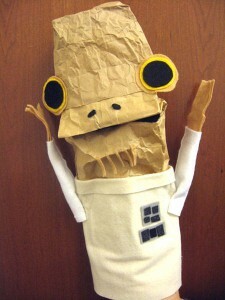 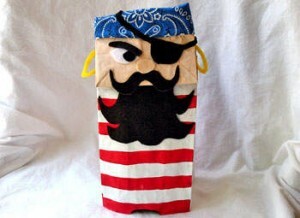 I think they are pretty cute and wanted to see what kind of paper bag puppets other people were making. 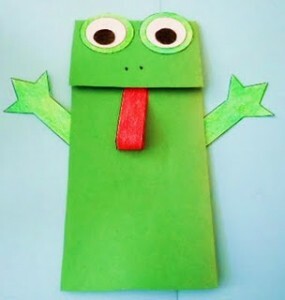 I’d love to see some of your own creations too! 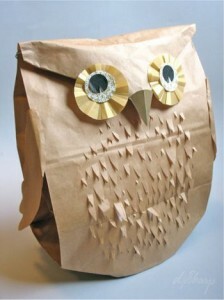 I am crazy about this owl made by Denise Sharp. I think I’m going to buy a pack of brown paper bags today!